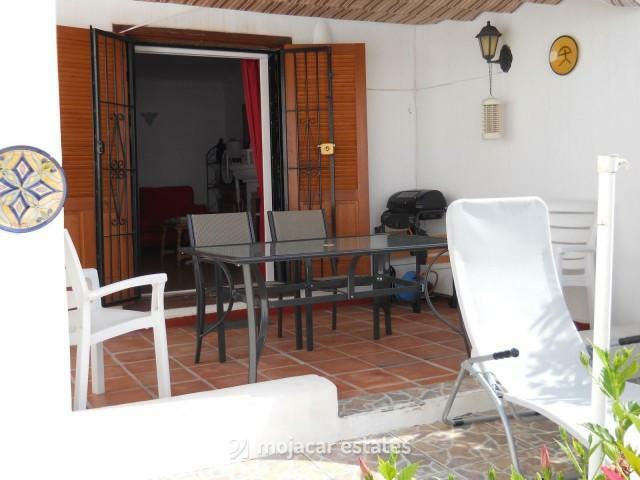 Lovely ground floor apartment ( 70m² built area + 29m² of private terrace and garden + roof terrace) in community with pool and gardens only 400 metres to the nearest beach - Playa del Cantal- and all amenities, for sale on Mojacar Playa, Almeria, Andalusia. There is an allocated covered parking space and steps leading up to the very well kept urbanisation. 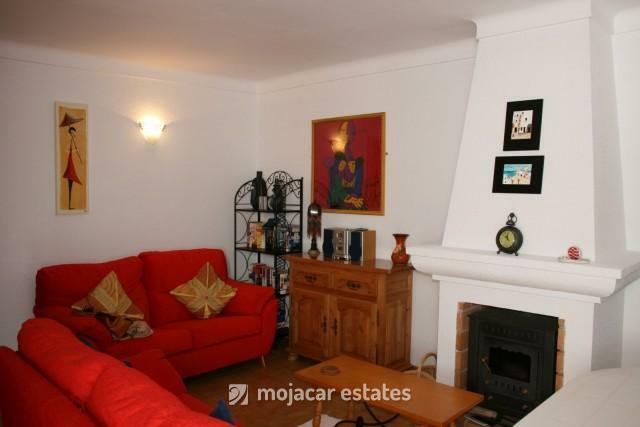 The house is very private, with a front terrace looking out to a private garden with built in barbecue, awning and garden furniture. 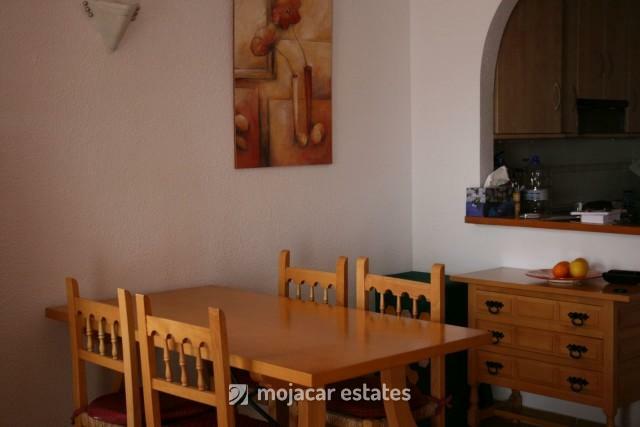 Front door leads into the lounge - diner with patio doors opening out to front terrace, there is an open fireplace and a dividing arch into a fully equipped kitchen. 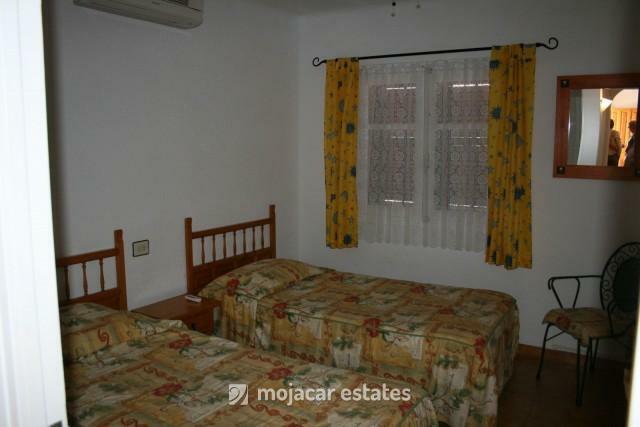 There are 2 double bedrooms, one with a full bathroom and a 2nd shower room. 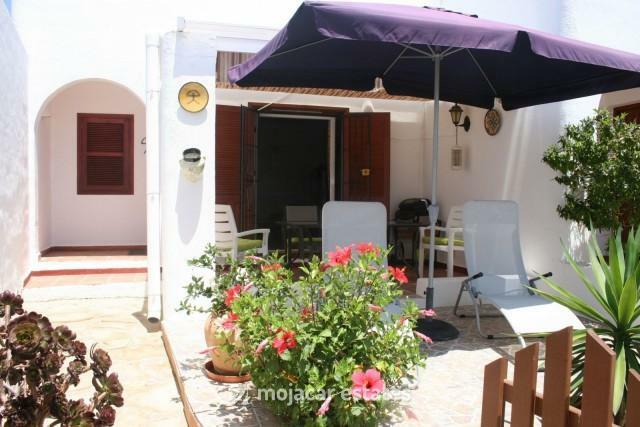 The house has air conditioning and heating throughout, also celing fans and a private roof terrace with beautiful sea views. 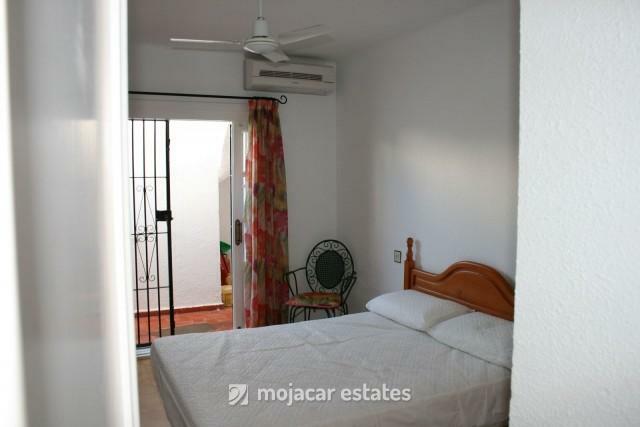 The main bedroom has access to a rear patio area with a staircase leading up to the roof terrace. 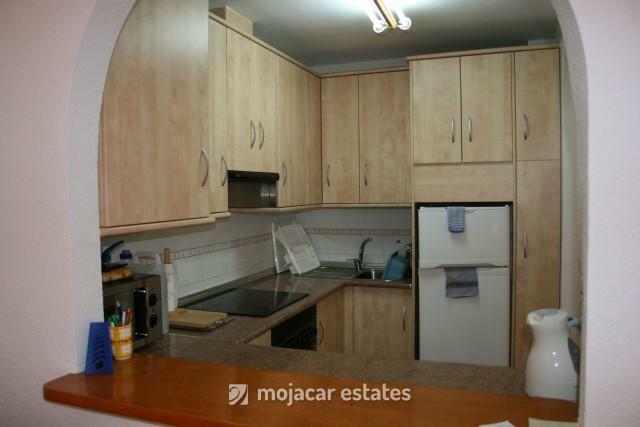 This property is being sold fully furnished and equipped. 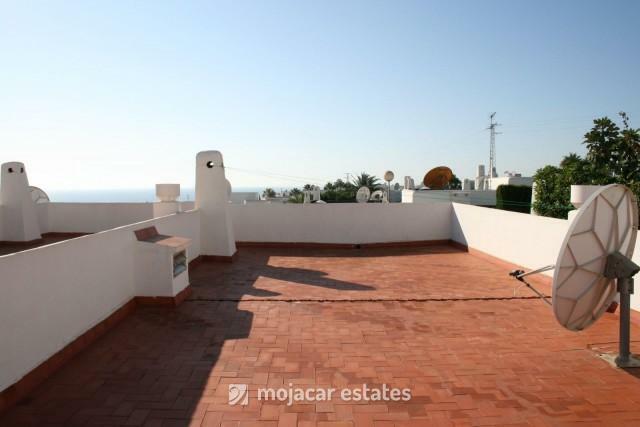 This property is situated in an urbanisation between calle Murillo and calle Becquer in Mojácar Playa. 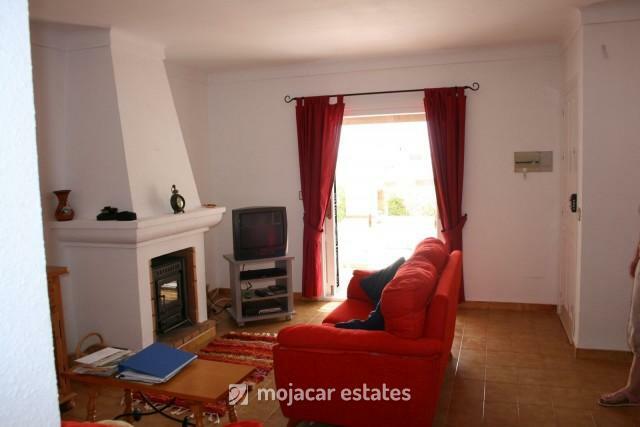 It is a short walk (approx 400 metres) to the beach (Playa del Cantal and Red Cross roundabout- -very central location). 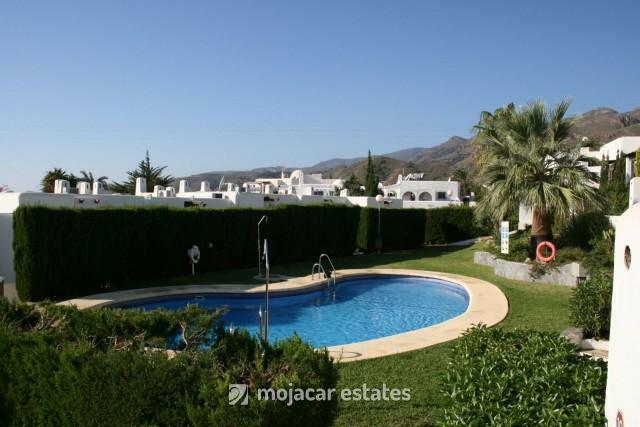 On the above Google map click on enlarge map and the exact location of the property in Mojacar is marked with the pin. Almeria airport is 45 minutes drive, Murcia airport is 1 hour 20 minutes, Alicante airport is 2 hours and Malaga airport is 2 hours 45 minutes. Mojacar golf courses Macenas and Marina de la Torre, Vera golf courses Valle de Este and Cuevas de Almanzora golf courses Desert Springs.